or wait about 60 seconds and you will be transported there automatically (assuming your browser can handle such things)!! 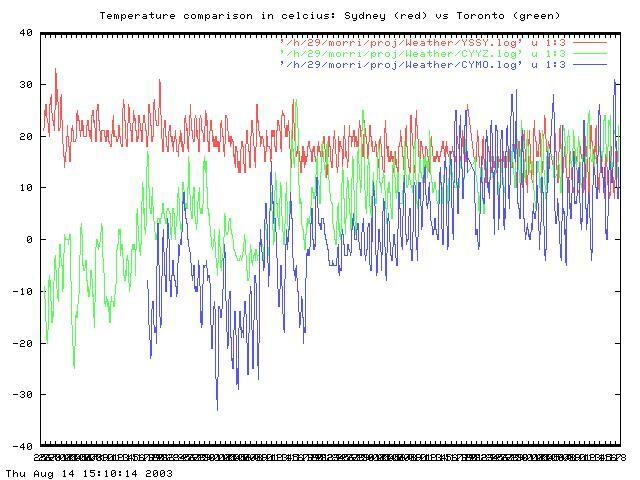 Temperature comparison in celcius - Sydney (YSSY) in red vs Toronto (CYYZ) in green. The temperature in Moosonee is in blue.